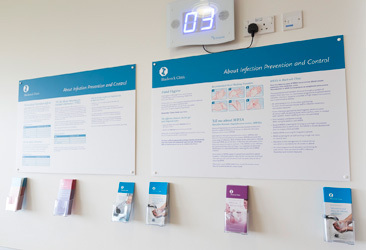 Blackrock Clinic measures all incidences of infection and benchmarks them against European levels. All levels are displaying a downward trend in the last few years. You will find our most up to date statistics regarding levels for various procedures and infections in this section. We are the first private hospital in Ireland to publish clinical performance statistics and health improvement measures on our website.